Our product is unlike anything that exists in the market today. It is an automotive accessory designed to protect your car upolstery from damaging elements as well as a functional tool in assisting with people's busy lifestyle. 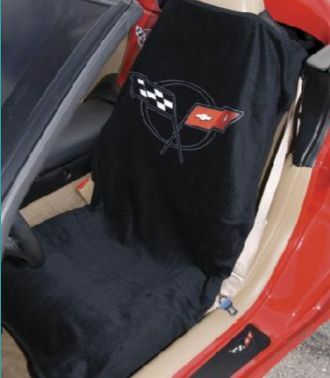 The 100% cotton terry/velour seat cover will fit over any car headrest and form fit over the seat, protecting the upholstery from stains, odor, and perspiration. And Comes branded with a logo of your choice, you can choose from over 150 officially licenced logos of College Football Teams, NFL, NBA, Automotive Brands & The Armed Forces. Customize your seat cover now, with the logo of your choice! The simple design offers a high level of protection without the safety issues associated with common automotive upholstery protectors. The automotive industry has seen fit to produce cars with airbag deployment points in and around the car seat. This has developed into a heated debate over the standard car seat cover / seat towel and its impact on overall occupant safety. People are weighing their options and choosing safety over upholstery protection. This problem can easily be remedied, as our seat cover has no cumbersome pullovers or straps and will not effect airbag deployment. It slips over the headrest and grips tight at the base. 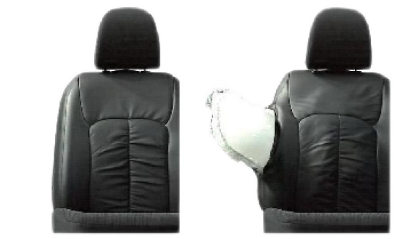 When there is a need for airbag deployment, the seat cover will flex and move away, never constricting deployment. When you want that top of the line, truly custom fit seat cover, than this is the best choice you could ever consider. Priced slightly higher then the canvas/denim type, these high quality seat covers come with padding, your choice of vertical stitching or horizontal stitching for the insert part of the seat covers. 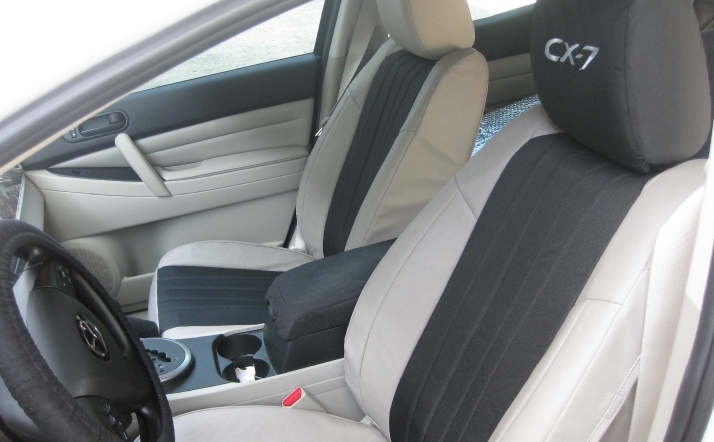 Custom plus seat covers are available in a variety of quality materials to choose from. 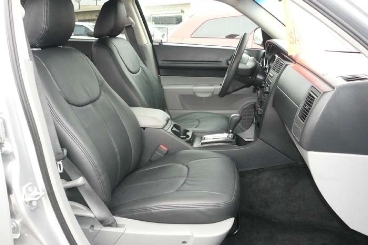 Custom plus seat covers can also be ordered two tone, like the picture of the 2005 F150 that have been made with pockets on the back of the seats, can be ordered as an option. 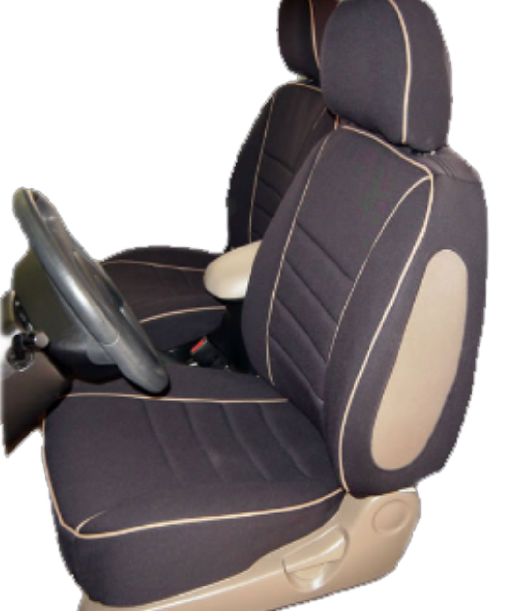 The custom plus seat covers are made of all of the material you order including the sides of seats as well as the back of the seats. No stretchy or spandex like backing on these seat covers! 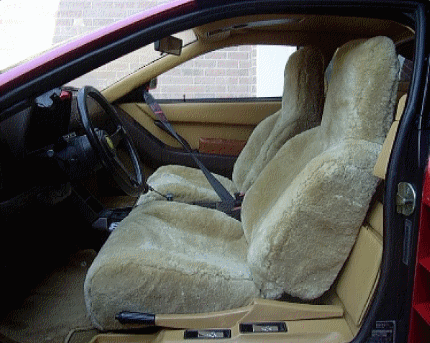 IMPORTANT: SUEDE MATERIAL CAN ONLY BE ORDERED AS SEAT COVER INSERTS (WHERE YOU SIT). 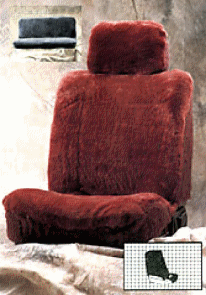 • Velour: Is soft and smooth similar to your orginal seats in your vehicle. • Simulated leather: Soft touch material is great when you want that leather look. • Dura-EZ: Is a nylon type, waterproof material. Easy cleaning and durable. Ideal for inserts of seats. • Tweed: Is very durable and a very tough type material. Will keep you warmer in winter months. • Suede: Very soft! 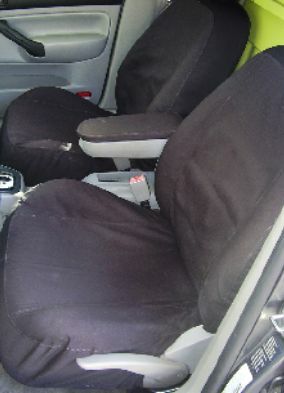 Will give the seat covers that plush look. • Camouflage: Great for the outdoorsman! Waterproof nylon type material with the camo look. • Southwest: Simalar to our tweed material only with the SOUTH WESTERN LOOK. Top qulity canvas/denim seat covers with pockets. Our canvas/denim custom fit seat covers are the best fit in today's market place. Our canvas/denim seat covers come standard with pockets on the back of the front seat covers. Unlike our competitors, who want to charge more for pockets or don't offer them at all, ours are standard that way. Our seat covers come standard with silk screen logos, from all the major car brands (except Ford). Our competitor's do not offer this feature or charge more for that feature. We also offer embroidery that can added to your seat covers. View over 22,000 designs that are available, or you can have script or block lettering done. There is an extra charge for embroidery though. 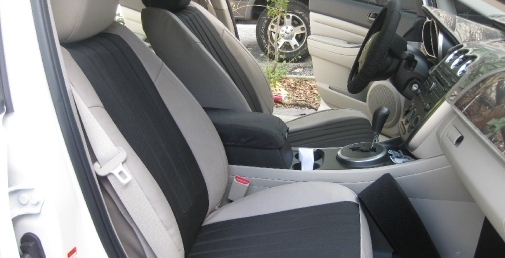 Seat covers are the best way to protect your original seats or make those old seats look like new again. Now is the time to buy! Available in a variety of colors to match your vehicles interior. Our canvas/denim seat covers are machine washable and are very easy to take on and off. Please allow 2-3 weeks for shipping on these particular seat covers. Generic mossy camouflage is available for the canvas/denim seat covers. NEOPRENE SEAT COVERS are made from the very highest quality of neoprene and will give you many years of protection for your orginal seats. Be sure to order your shampoo and UV protectant for your neoprene seat covers. REMEMBER! The more you clean neoprene the longer they will look like new and will last even longer. 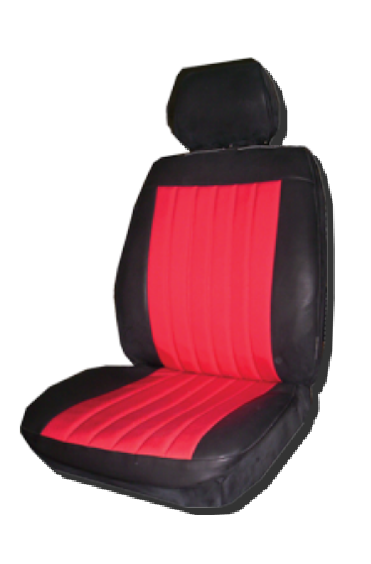 NEOPRENE SEAT COVERS are availabel for most cars, trucks, vans, and Suv's, including the rear seats for most vehilces. CAMOUFLAGE SEAT COVERS are also available in NEOPRENE. 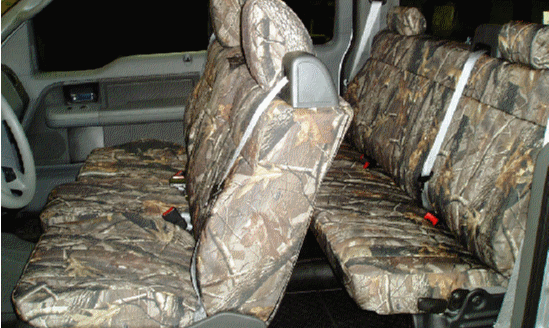 Seat covers for CHEVY TRUCKS, DODGE TRUCKS, FORD TRUCKS, as well as other vehilce types. 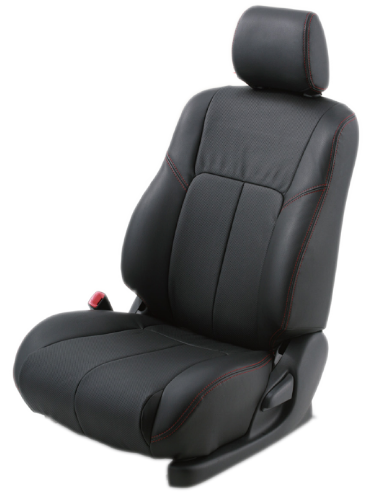 Allow 3 weeks to ship custom fit seat covers. Wet Okole offers the perfect fits in neoprene seat covers in todays market place.When ordering neoprene seat covers you will need to order the fronts then continue shopping in order to order 2nd and or 3rd row seats. If at any time you are not 100% sure of your seat configuration and would like help, please feel free to call us at 1-800-441-3274. We will be more than happy to work with you to insure you are ordering correctly. CUSTOM-FIT, PURE SHEEPSKIN SEAT COVERS. 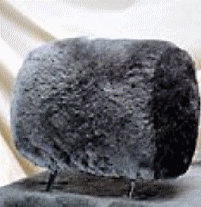 The best quality, pre-made, 100% SHEEPSKIN SEAT COVERS. 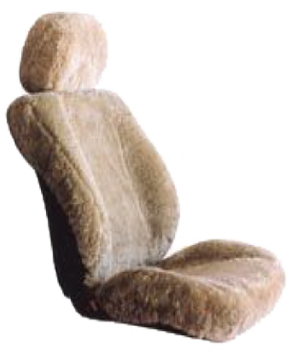 Hand selected, 7/8"-1" thick Australian merino sheepskins are hand crafted into a snug fitting, wrap around seat covers. 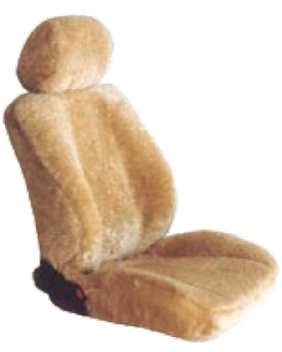 READY MADE ALL SHEEPSKIN SEAT COVERS offering 5 sizes and 13 colors to custom-fit virtually any bucket seat. Securely fastens to the seat with 6-8 hidden straps. Available in 13 colors shown below. 1 year craftsmanship warranty. Available for cars, truck, suv's, and vans. Allow 2-3 weeks to ship your order. AUSTRILAIN SHEEPSKINS ARE THE FINEST YOU CAN BUY, OFFERING A VARIETY OF PELT THICKNESSES. When you want to stay warm in the winter and cool in the summer SHEEPSKINS are the only true way to go. Enjoy feeling cozy and at the same time protect your car, truck, suv, or van seats. 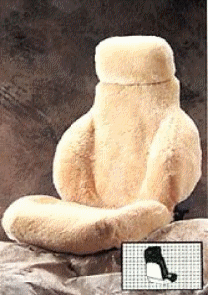 Deluxe Superfit Bucket Seat Covers Plush, 7/8"-1" thick Australian merino sheepskin where you sit on the seat and backrest, with matching stretch-fleece full back and sides. Highback and lowback sizes to fit most bucket seats. Imported. Available in 12 colors shown below. 1 year warranty. If you have a question about seat covers please use the spaces below to contact us by e-mail. We will respond within 24 hrs. 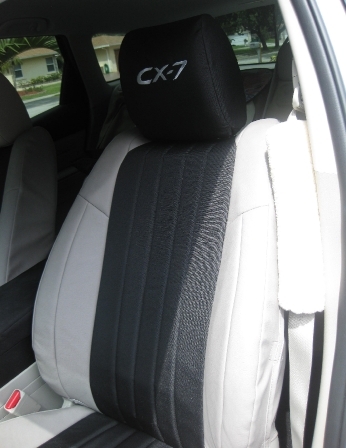 These are the Custom Plus seat covers fitted on a 2011 Mazda CX-7. We have added custom embroidery to the head rests. The combination done for these seat covers is Dura-EZ in the center and simulated leather for the outside. The head rests were done in dura-EZ as well. 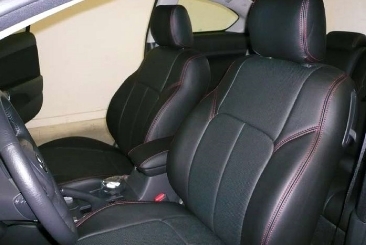 Custom Plus seat covers give your vehicles seat an almost reupholstered look with out the cost. The biggest benefit is that your seats will stay protected and look great if and when you decide to resell your vehicle. Get a set of these fantastic seat covers today! Our Leather kits are produced by Clazzio. Founded in April 1995, Clazzio believes the goal which every enterprise should carry is "To create customers and to pursue their satisfaction". In order to obtain their satisfaction, no compromises in all aspects should be overlooked. To cite one example, if we make a part of our products, an installation manual or package with compromise, customers never feel true satisfaction. "Pursuing customers' true satisfaction" leads to "establishing true mutual trust with customers". Then, what is necessary to achieve it? The answer is persistent education for employees. I believe it is important to educate every employee to have higher sense of value and to sympathize customers in a general point of view. For customers' true satisfaction, I will make my utmost effort to educate employees by making the most of our management resources. For starters our leather inserts are 100% genuine leather. We use only the finest line of fabrics and leather to ensure customer satisfaction. Our installation is a breeze compared to other major brands without sacrificing quality. On average a consumer would spend nearly one thousand dollars on a comparable leather kit that will take two to three days to install. Clazzio is the same quality leather that literally just slips over your factory seats. Most install kits purchased through our site will take about two to three hours to install for half the cost of other major brands. See for yourself order today!